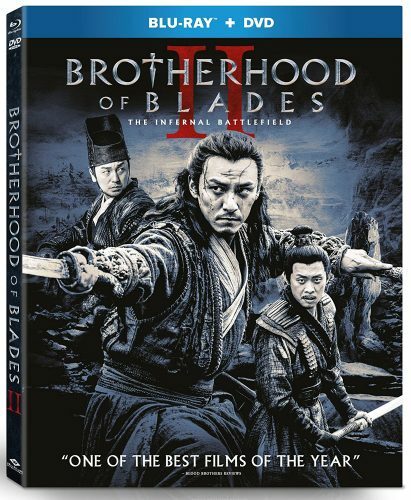 Brotherhood of Blades II is a Prequel Wuxia Battle Dramatic Romantic Action Film. With a Run time of 2 hours the Film didn’t feel slow or I didn’t find any moment were it didn’t grab my attention as I felt the Whole package of this film was entertaining. The Story was a great follow that has a twist and a turn and a small romance plot line. The Romantic portion wasn’t huge and mostly want in the foreground of the story. But what was, was the action. We get a lot of detective work a small Ninja scene and an all out battle between a few against many. Overall the film was a great watch and if you’re a fan of the first film you should like this one. For me the rating is a tad under the first film as I wish the film had a little more emotional connection. I want to feel more whether is anger or sadness towards characters. This is a Wuxia Film but it’s not heavy in wire work and the action when it hits is pretty top-notch and action fans wont be disappointed. But more-so the story does flow great and holds up to keep you engaged. The overall Looks of the film is great in Blu-Ray format with lots to look out in some of the bigger shots. Holding great detail and popping colors. Sounds great too. We also get a dubbed version for the Lazy. I was lazy this day so I viewed the entirety of the film in English Dub. Only thing I wish Well Go USA would do is when Foreign text pops up like someone reading a letter would be to include subtitles in the Dubbed version. The Original Language version will pop up text showing what is written in the letter. With that said I give this film a 4 out of 5 stars making this a must pick up for Asian Action film fans. If your new to the Duo of films you must pick the first film up as well.